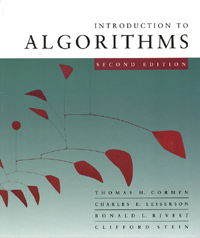 The design and analysis of data structures and algorithms. The description of various computational problems and the algorithms that can be used to solve them, along with their associated data structures. Proving the correctness of algorithms and determining their computational complexity. Prerequisite: COMP 250 and MATH 240. Introduction to Formal langage theory. Lectures: Tuesday-Thursday 2:35pm - 3:55pm in BURN 1B24. Jérôme Waldispühl: Tuesday and Thursday 4:30pm-5:30pm in Trottier 3106. Gheorghe Comanici: Monday April 26th 12:00pm-17:00pm in McConnell 111. First assignment delivered on Jan 14th. Second assignment delivered on Jan 26th. Second assignment delivered on Feb 9th (Due at Monday, Feb 15th). Gheorghe Comacini will have office hours from 12pm to 17pm on Monday April 26th. General introduction. Simple Computer Models. Estimating the running time. Fibonnacci Example. Basic Data Structures: Stacks, Queues, Linked list, Linked list, Heap. Data Structures for Disjoint Sets. Graph algorithms: Minimum spanning trees and maximum graph flow. Polynoms and Fast Fourier Transform. Motif search (Rabin-Karp, Knuth-Morris-Pratt, Boyer-Moore). NP-completeness: Definition and example and approximation Algorithms. Notes from Winter 2009 by Alexandre Frechette. Webpage of the previous Comp252 edition by Luc Devroye. This outdated syllabus can be used as a reference. Variations may occur though. An (Outdated) list of Luc Devroye's class notes (1997). Use at your own risk. Analysis: O, THETA, OMEGA. Summations. 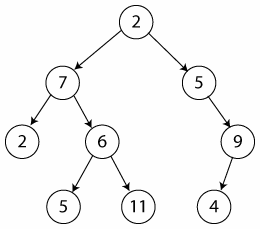 Random binary search trees and quicksort. Priority queues: overview and applications.